Acupuncture is just one part of Traditional Chinese Medicine. Chinese Medicine has a rich 3000 year history. Despite its ancient origin, the medicine is still applicable to today’s health concerns. The World Health Organization recognizes Acupuncture as an effective treatment for over forty different diseases and disorders. Chinese Medicine states that a network of vital life force energy or Qi circulates through meridians in the body. When qi becomes deficient, excess, or stagnant, illness results. Acupuncture uses the insertion of fine, disposable needles into specific points on the body in order to adjust the flow of Qi, or energy. Once the Qi is flowing smoothly, dramatic changes in health can be observed. Each patient is evaluated for their individual Qi characteristics to determine their customized treatment plan. At Red Phoenix Acupuncture, there are two styles of acupuncture used in treatments: Chinese and Japanese. This style works well for acute disorders, pain, and internal disorders. 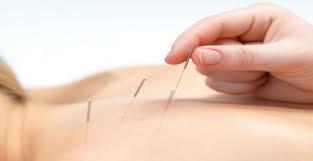 Chinese style acupuncture typically uses more needles with stronger stimulation. This style works well for children, needle sensitive patients, and patients with emotonal disorders. Japanese style acupuncture uses smaller needles, shallow insertion, and less stimulation. Acupuncture is a safe, effective form of treatment for many disorders and diseases. Everyone from babies to senior citizens, including pregnant women can benefit from acupuncture treatments. Acupuncture also works well with other healing modalities, such as Western medicine, chiropractic, homeopathy, and massage.